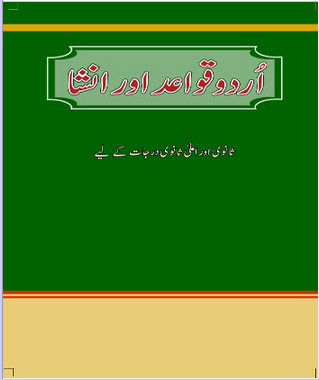 Urdu text book “Urdu Qwaid aur Insha ” Urdu E-book for class 10, CBSE , NCERT. Home » 10th Class » Urdu text book “Urdu Qwaid aur Insha ” Urdu E-book for class 10, CBSE , NCERT. Urdu text book “Door-Paas” E-book for class 10, CBSE , NCERT. Urdu text book “Gulzare-e-Urdu” Urdu E-book for class 10, CBSE , NCERT. Urdu text book “Jaan Pahechan” Urdu E-book for class 10, CBSE , NCERT. Urdu text book “Nawa-e-Urdu ” Urdu E-book for class 10, CBSE , NCERT. Urdu text book “Sab Rang” Urdu E-book for class 10, CBSE , NCERT. Mathematics text book “Exemplar Problem(English)” English Medium E-book for class 10, CBSE , NCERT. Social Science text book “Arthik Vikas Ki Samajh”Hindi Medium E-book for class 10, CBSE , NCERT. Social Science text book “Jamhuri Siyasat-II” Urdu Medium E-book for class 10, CBSE , NCERT. «Urdu text book “Sab Rang” Urdu E-book for class 10, CBSE , NCERT. IS MEIN STORIES NI HAIN KYA?